Thanks to MobileSyrup’s very own Patrick O’Rourke, Canadians don’t have to wait to be included in the excitement of Pokémon Go. For some of us however, Pokémon is a happy childhood memory rather than a current regular pastime. 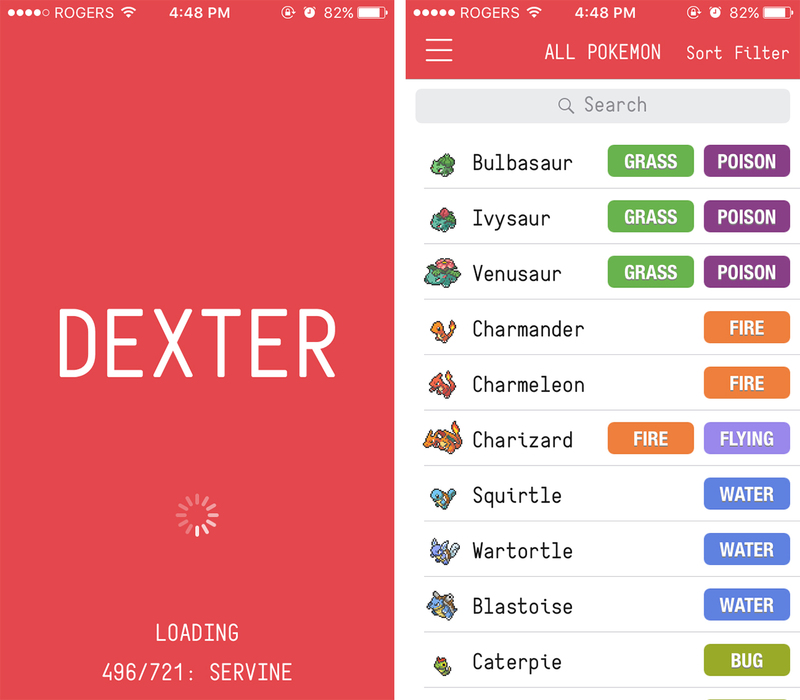 If you need a refresher before trying to be the very best that there ever was, Dexter just might be what you’re looking for. 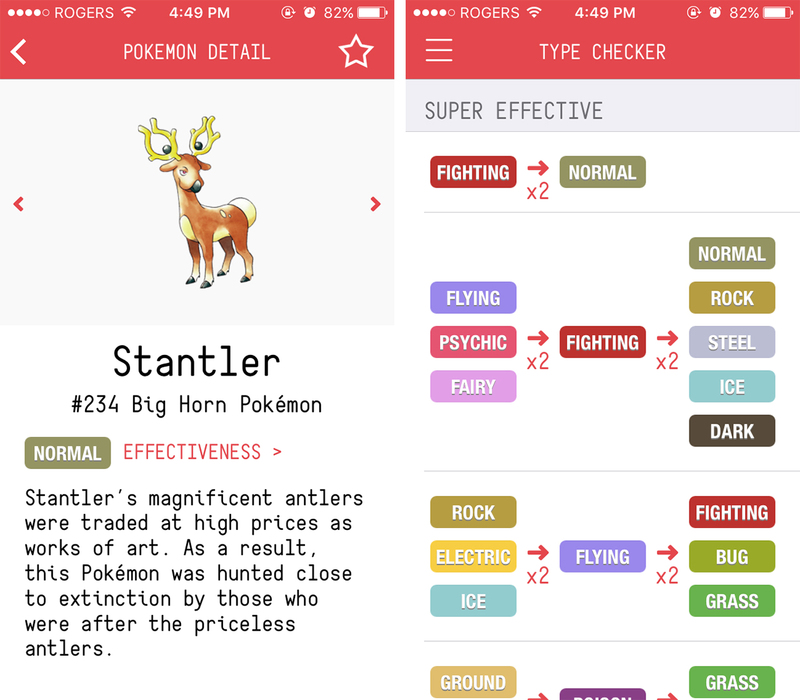 While Dexter doesn’t include information directly related to Pokemon Go, facts and data from the series’ other titles can be applied to Niantic’s augmented reality title. Dexter – A Pokédex is a complete index of every Pokémon, ability, move, item and disposition Pokémon players could possibly encounter. With an easy-to-navigate interface and a simple design, it’s the perfect tool to keep you up to date on your favourite card game, video game and Saturday morning cartoon. The app also includes sort and filter features that allow users to further organize categories to more easily find what they’re looking for. For example, when scrolling through the “Moves” category, users can simply hit “Filter” in the top right corner of the screen to filter moves by type. Selecting any feature brings users to another screen where what they’ve selected is explained in detail. Tapping Bulbasaur under the “All Pokémon” section, for example, opens a page with the Pokémon’s type, move and its effectiveness against certain attacks. This reveals that Bulbasaur is a grass Pokémon with an Overgrow ability and a hidden Chlorophyl power. His speed is also doubled during strong sunlight (but you probably already knew that). The extended information page also provides additional stats and fun facts about each Pokémon. This feature also works for any move, ability or item users are interested in knowing more about. 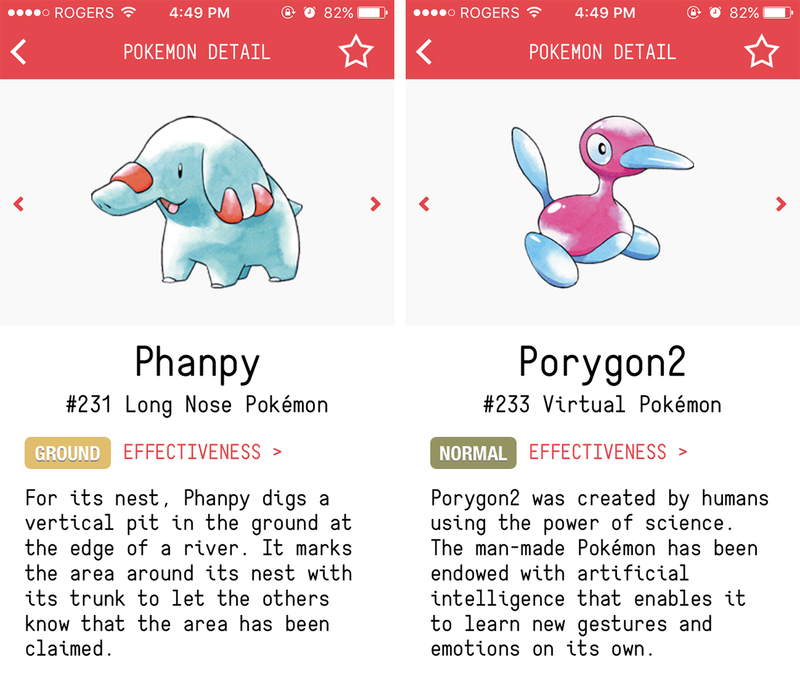 So there you have it Poké-fans: a complete Pokémon refresher course wrapped up in a free app. Dexter is available on iOS and Android for free. In the meantime, there are many excellent options for Android as well. Now get out there and catch them all.